Summer is in full swing and we’re bloomin’ loving it! The sun loungers are out, the ice lollies are in the cooler and the summer tunes are playing on the radio! 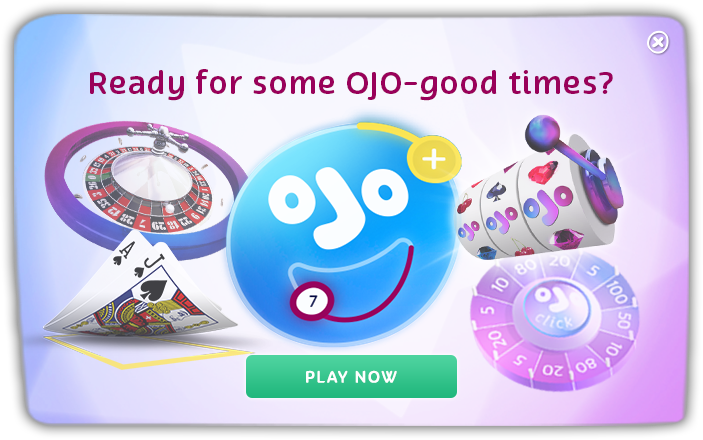 PlayOJO’s new summer/BBQ slot game couldn’t have arrived at a better time! Set on the BBQ grill itself, Sizzling Spins is a 5 reel, 243 ways to win slot from Play ‘N Go. Symbols include all your barbeque essentials such as mushrooms, cucumber slices, tomatoes, onion and corn. Higher paying symbols come in the form of shrimps, sausages, chicken wings and ribs – doesn’t it just make your mouth water thinking about it? The ribs symbols gives you the biggest reward of 10 times your stake when you get 5 on a payline. This is the same story for the salmon wild symbol which replaces all symbols apart from the scatter symbol. Sizzling Spins comes with a Hot Reels feature. Hot Reels appear on reels 1, 3 or 5 on every initial spin. When a Foil Blocker symbol lands on a Hot Reel, it opens up to transform into a wild – you will then receive a re-spin where the Hot Reel is held. Another reel then becomes a Hot Reel with another re-spin awarded if another wild lands on that new Hot Reel. Basically, re-spins will continue until all 5 reels are Hot Reels or until no more wilds are activated. On a re-spin, any reel can become a Hot Reel – if a wild lands on the 4th and final respin, any wins from that re-spin are doubled (2x multiplier). Sizzling Spins also has a Free Spins feature which is played when 3 Chilli scatter symbols land on the reels – you then choose 1 of the Chilli scatters to reveal 8, 10 or 12 free spins. You will play on a different reel set now which is 4 rows high and gives you 1,024 ways to win. 1 reel becomes a Hot Reel on each free spin – the Foil Blocker symbols transform into wilds on any reel too and trigger the Hot Reels feature with free re-spins available. Look out for Chilli scatters during the feature as 3 will give you a 2x multiplier whilst 6 will give you a 3x multiplier. If you collect 9 of them, you’ll benefit from a 5x multiplier. Sizzling Spins is the perfect game for your summer and will indeed keep you with that summer glow all year round! You could very well find yourself saying phrases like,” Throw us another shrimp/rib/sausage on the barby, OJO!”. Have fun you BBQ lovers!